Have you ever been told by a your tennis coach, or perhaps a parent, that you need to focus more? 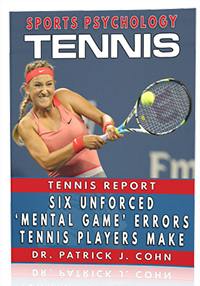 The word “focus” is commonly thrown around in the world of tennis. The definition of “focusing” is directing your attention or effort towards something specific. So if you were competing and thinking about the pizza dinner you will have afterwards, you are focused but just not on the right things to optimize your performance. 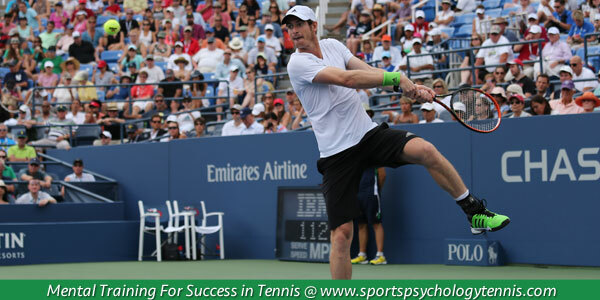 Are you focused on the specific cues that will allow you to perform at your very best in tennis? 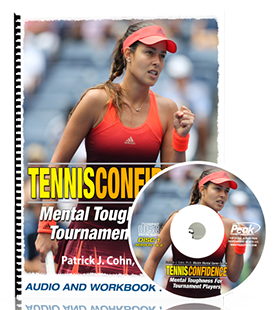 Often, coaches tell tennis players to focus, but not necessarily how to do it. If you look at the examples of some elite tennis stars who are performing at a high level, you can gain some insight on how and what to focus on to raise your level of play. Roger Federer is considered by many as one of the greatest tennis players of all time. Federer, 32, is currently ranked 8th but holds the men’s record in the Open Era for being ranked No. 1 in the world for 302 weeks. At one point, Federer maintained the top ranking for 237 consecutive weeks. Federer has won 17 Grand Slam singles titles and has appeared in 24 men’s Grand Slam finals. Federer has not won a Grand Slam event since Wimbledon in 2012 but has been seeking to regain his old form. At the 2014 Australian Open, Federer, winner of four Australian Open titles, beat Andy Murray in the quarterfinals, 6-3, 6-4, 6-7, 6-3. Federer had a lot vying for his focus at the Open: past history, new equipment, new coach, rivalries, injuries and current matches, but was able to attend to the proper cues to achieve a successful outcome. Preparation – Have a game plan for the match and how you can use your strengths. Present Point – You must stay focused on the point you are currently playing. Process – You should focus on your strategy rather than things outside of your control (ie. weather, opponent’s play, officiating). Refocus – You want to refocus your attention after mistakes or dropping a set to an opponent instead of dwelling on the missed chances.